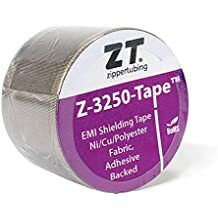 Zip Wrap Kwf 24 - Thermal Management Sleeving And Jackets - Thermal Management - Products - ZT | Zippertubing Co. This Kevlar product is perfect for military or industrial applications! Zip-Wrap® (KWF-24) is a medium weight, high-breakage strength, complete 360° thermal, and protection solution, for wires, cables, hoses or pipe management. Zip-Wrap® (Kevlar) can be customized to fit virtually any length and diameter, allowing for easy installation with a zipper closure system. 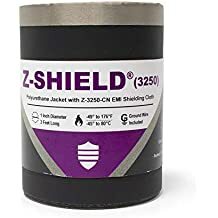 Zip-Wrap® (KWF-24) is comprised of a ballistic grade woven fabric Kevlar 24 style 745 outer jacketing material, resistant to most organic solvents, which provides strength, and abrasion protection reinforcement for wires or cables. The KWF-24 material is a lightweight, strong synthetic fiber that can be customized in application using multiple layers to create the needed degree of protection. Sewn in combination with a brass zipper closure system, using a high-temperature aramid Kevlar thread, resistant to bacteria and mildew, the total solution allows for the combined materials to create a durable 360° abrasion and thermal protection solution, that can be easily installed with no additional tools required. There are so many uses for Kevlar, and that is why The Zippertubing® Company now offers this material as an addition to their ever-growing inventory of products and materials. This ballistic-grade, woven fabric Kevlar material is resistant to wear and has a high breakage strength, all while maintaining its lightweight properties. It can be configured for round, flat or rectangular wire or cable bundles, as well as other custom component configurations, and can utilize many of our different closure options. This combination of features makes it the perfect solution for abrasion protection jackets that wrap around your critical components. Kevlar can also be applied in multiple layers for use in safety or personal protection. To determine the number of layers needed for your chosen application, testing should be completed under the given circumstances you require. *Please note that this material will degrade in UV light, and may not retain its original properties when immersed in liquid. Brass toothed zippers consist of individual brass metal interlocking teeth attached to a separating Aramid fabric tape which has a fixed start and stop point. The zipper is closed via a self-locking slider which make a zipper installation tool free. Brass toothed zippers are available as a medium or heavyweight, highly flexible, closure system for cables where a tool-free installation is desired and the open/closure cycle frequency is likely to be high. Toothed zippers perform best in round cable applications where the cable bundle diameters exceeds 1.0 inch and larger and on flat ribbon cables over 2.0" wide. Brass toothed zippers can be used in very large size applications by increasing the tooth size. Brass toothed zippers are stronger than molded toothed zippers and more immune to damage. However, unlike plastic zippers they do not have a "self-lubricating" quality and may require periodic lubrication to operate smoothly. Ideally all zippers should be used in applications that are free of dirt and debris which could cause jamming. Brass zippers can be cleaned with a small brush if contaminated and they are prone to corrosion unlike plastic zippers. Zippers cannot be cut to length on site at the time of installation so assembly length must be known at the time of order. Zippers items are typically commercial items and meet the manufactures performance specification; however they can be procured in compliance to A-A-55634. Available with optional black oxide tooth finish. Color Brass with black tape (black oxide teeth optional) w/ 5mm tooth only.